Yes, it’s a victory. But for whom? From the DailyMail…. Thank you NATO. Thank you President Obama! A victory in Libya indeed. 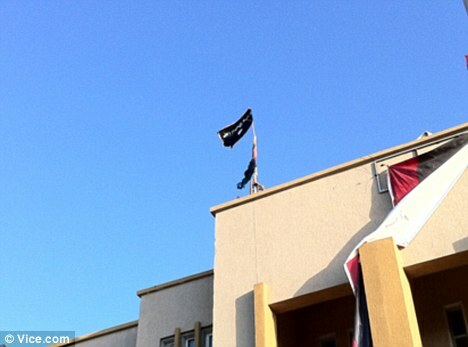 The black flag of Al Qaeda was hoisted in Libya yesterday as Nato formally ended its military campaign. The standard fluttered from the roof of the courthouse in Benghazi, where the country’s new rulers have imposed sharia law since seizing power. Seen as the seat of the revolution, the judicial building was used by rebel forces to establish their provisional government and media centre. America should be so proud of what our dear leader has wrought. He’s young – I’m sure the old boys who’ve been in a while will love having him around. 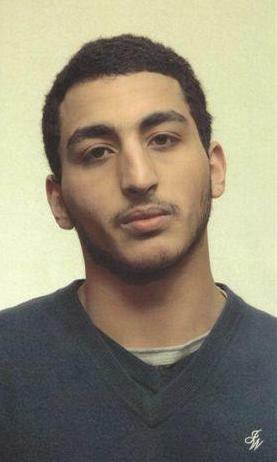 A ‘YouTube terrorist’ who put Islamic extremist videos online is jailed for five years. A law student dubbed the ‘YouTube terrorist’ who posted Islamic propaganda on the internet after becoming radicalised was jailed for five years today. Mohammed Gul was ‘pouring petrol on the fire’ and his actions could have spurred others to commit acts of terror, the Old Bailey heard. Gul, 23, of Hornchurch, Essex, who has since graduated, was found guilty of five counts of disseminating terrorist publications following a retrial at the Old Bailey. Word to the wise: you think that just because you post inflammatory stuff on the internet and don’t actually, you know, kill anyone yourself that you’ll get off Scot free? The wheels of justice grind VERY slowly it seems – especially to those of us who are taking notice and documenting what you do. But it looks like the law enforcement agencies are seriously paying attention finally! So who’s next? Smackdown Crew has dozens of potential candidates. And we’re considering every one of them. If you’ve been engaging in similar activity, maybe you should quit while you’re ahead. Intriguing. And yeah – I’m cynical. They sound tough, but it will probably only last until the heat is off. Revolution Muslim has its own gossamer connections to terrorism. A list of its recent members reads like a who’s who of American homegrown terrorism suspects. One has been arrested for wanting to launch an attack on the Long Island Rail Road for al-Qaida; three others were intercepted getting on flights to join a terrorist group in Somalia. An editor believed to be behind an online magazine for al-Qaida’s arm in Yemen was a regular in Revolution Muslim chat rooms, as was Jihad Jane, the Philadelphia woman arrested last year for plotting to kill a Danish cartoonist. All I can say is welcome to the party. Apparently tinypic and imageshack don’t like people using their services for promoting terrorist agendas! Good on them! Maybe they could have a talk with YouTube and Blogger! Wow – what a fantastic idea from Andrew Sullivan – he calls it the 911 Hard Hat Pledge. Here are the names of union and non-union tradesman who refuse towork the site of the proposed Ground Zero Mosque. We feel we have been betrayed by our civic leaders and elected officials as they allow the Cordoba Initiative Group build their Mega-Mosque on top of the ashes of the 3,ooo innocents who were slaughtered on 911. The comments at the link are AWESOME! I am a CNC programmer and machine shop manager. We will never accept any manufacturing projects or contracts affiliated with the Ground Zero Mosque. I would never work on this site. This is a discrace i cant wait to see the scumbags that show up with their tools to work here. I too am a union carpenter and have spoken to other members on their veiws of working there. I believe we should stand together on this and not let this happen. If you even consider working there you should be ashamed of yourself. I am the mother of FF Michael Edward Roberts, FDNY, Eng 214 who was mudered at the WTC on September 11, 2001. His Engine Compnay was sent to the Towers from their Firehouse in Brooklyn New York, all five were killed, the chauffeur of the truck survived. I have devoted my life to keeping my son’s legacy alive and have tried to stay out of the politics in our city, state and country because i do believe that our government failed it’s citizens on September 11,2002 as it did before and after that awful day. It never should have happened and I do believe it will happen again because of the Political Correct Attitudes of the powers that be in America especially in this case, Bloomberg and Cuomo! So how about it? Anybody who reads here who works in the industry – please go sign his pledge. The pinheads won’t be able to build it if they don’t have help. There’s more than one way to fight. GO ANDREW!! No one says it like Dennis Miller! Hey Harry Reid – this is for you! In other news – I’m pretty busy around here and don’t know if I’ll post much over the next couple of weeks. We’ll see!